Being that I’m in London right now, I was happy to find out about the opening of the Paddington Trail today! In Michael Bond’s original tales, the young bear finds himself alone in a big and unfamiliar city. Taken in by the Brown family, he finds a warm welcome and a safe place to stay and sets out to discover more about his adopted city. Visitors will be able to follow in the furry footsteps of the world’s favorite Peruvian explorer visiting locations across the capital from as far west as Heathrow through to the O2 in the east, taking in some of London’s key cultural and landmark hotspots such as The Royal Opera House, Museum of London, Horse Guards Parade, the Museum of Childhood, Selfridges and, of course, Paddington Station. With displays by David Beckham (my fave! 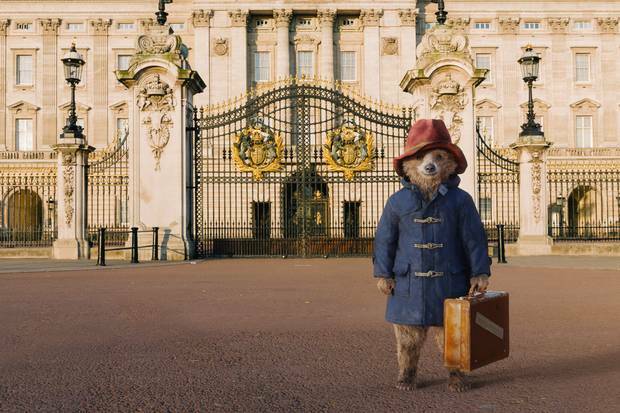 ), the Mayor of London Boris Johnson, Hugh Bonnevilee, Nicole Kidman, Emma Watson, Benedict Cumberbatch, Kate Moss, and more, the Paddington Bears will be on display throughout the city from November 4 until December 30 of this year. Catch a bear while you can!